The 2019 B2B Marketing Exchange wrapped up with a closing panel wherein marketing practitioners from Pendo, Outreach and GE Digital shared their go-to-market strategies for measuring and accelerating revenue growth, and discussed new trends shaking up the industry. B2B markers are increasingly expected to report on their performance and tie marketing dollars directly to revenue. According to Demand Gen Report research, 87% say marketing measurement and attribution is a growing priority for their organization. But it is often easier said than done. Binch said that in addition to proving marketing’s value, measuring conversions rates has also helped align Pendo’s sales and marketing teams to accelerate growth. Using intent data positions marketers to better identify target accounts, which is increasingly important in an ABM world. Pat Oldenburg, Senior Director of Digital Marketing and Operations at GE Digital, said the company has shifted to focus almost exclusively on target accounts. To improve its account-based marketing and sales efforts, GE Digital also reevaluated its ideal customer profile. By blending firmographic data with intent data, its sales reps are able to sort through the list of 4,500 target accounts and prioritize their outreach accordingly. Sixty-five percent of B2B buyers rate review sites as “very important” during their evaluation process. According to the panelists, review sites mark the latest trend of consumer-like experiences transforming the B2B marketplace, and they expect the value of peer input to rise over the coming years. Binch agreed and suggested marketers take advantage of the insights into customer pain points that review sites such as G2 Crowd and TrustRadius can provide. When armed with this information, marketing and sales teams are better positioned to tailor their messaging to address a specific customer’s needs and pain points. 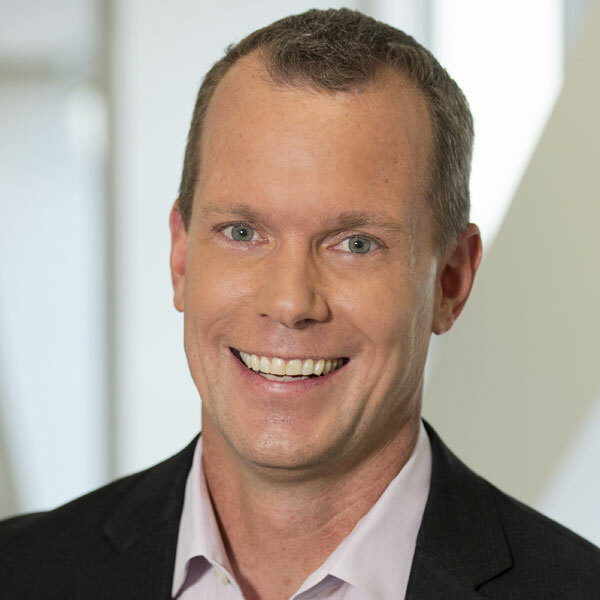 Leadspace, a customer data platform for B2B sales and marketing, announced it had doubled its annual returning revenue after a year of record growth. FunnelCake’s lead-to-revenue management system is designed to unify lead and opportunity data from Salesforce to deliver actionable, full-funnel reporting for sales and marketing leadership. The pressure is on — marketers are becoming more responsible for driving revenue. In fact, Forrester research shows that 82% of CMOs have goals tied directly to revenue. As such, modern marketers are taking an active approach to measuring and accelerating pipeline — a task that was typically reserved for sales. But at companies such as Oracle and CenturyLink, there is a growing priority for marketers to generate pipeline metrics, including velocity, which can provide key insights to accelerate deals and streamline customer retention and advocacy. 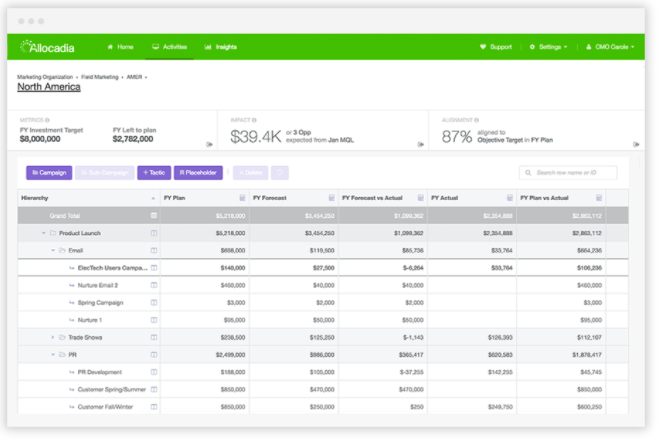 Allocadia, a marketing performance management solution, announced it has partnered with Bizible, a B2B marketing attribution and planning software. The partnership will bring the two solutions together as a joint offering designed to help users optimize revenue performance by providing insights into where to invest marketing budget. Next week, I’ll be heading to one of the first conferences for B2B marketers to focus exclusively on measurement and revenue optimization. Circulate 2017, taking place Sept. 14-15at the W San Francisco, will bring together thought leaders and practitioners from different roles — all with the common interest in measuring and optimizing marketing and sales performance. 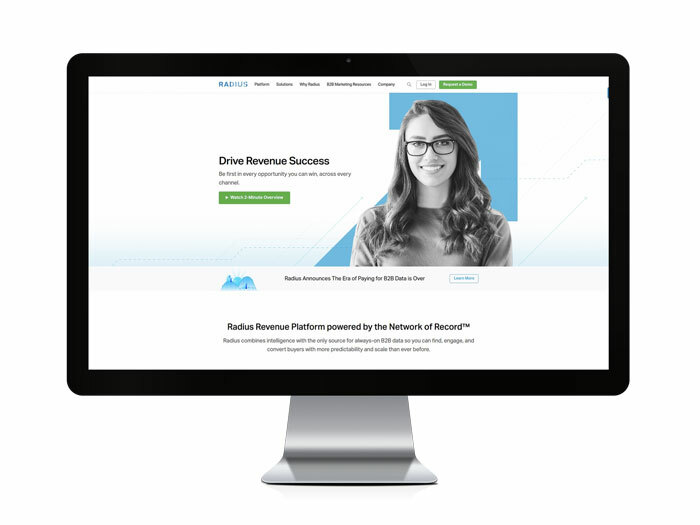 Radius announced it is making its B2B contact and account data consortium, The Network of Record, available to all customers of the Radius Revenue Platform, its software platform. Prior to the announcement, Radius clients were charged for data based on their needs. Now, the data is part of the full subscription package.